April 2, 1924 -November 12, 2018Elna Beneke, 94, passed away peacefully, on Monday November 12th, in Woodburn, OR. 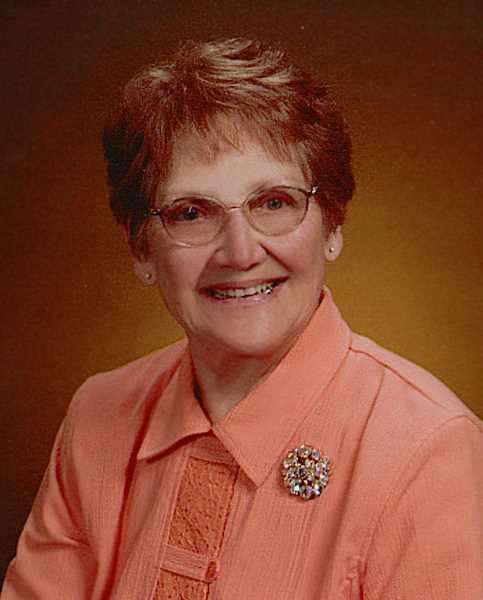 Elna was born on April 2, 1924, in Killdeer, ND to Christ and Esther Hanson. She was raised on the family farm with her 5 siblings. She married John Heidt in 1946 and had two children, Paulette and Barry. After they divorced, she married Louis Beneke in 1956, had one child, Kristi, and gained a stepdaughter, Linda. She is preceded in death by her parents, husband (1996) and her siblings. She is survived by her children, Paulette (Dan Kucera) of Sheridan, WY, Barry of Gleneden Beach, OR, Kristi (Scott Stokley) of Mt. Angel, OR, and Linda (Bruce Michaels) of Dickinson, ND. Grandchildren Isaiah MacMenami, Derek Nelson, Jared Nelson, Alex Stokley, Lauren Stokley, Kelli Michaels Hall, Doug Michaels, Great Grandchildren, Lazlo, Doc, Ethan, Tristan, Bryan, and Arabella. Services will be held at Immanuel Lutheran Church in Woodburn, OR on November 28th at 11:00am. A luncheon will follow. Gifts in Elna's name may be given to Little Lambs Preschool in care of Immanuel Lutheran Church. Arrangements entrusted to Unger Funeral Chapel in Mt. Angel.